Ya know what stinks… over dressing for the occasion. I mean, carrying all of that excess fanciness when all you want to do is kick back, relax, and stay streamlined for fun. That is kind of what happens when you ride your bike to a destination that requires you to dismount, walk around, and take in the scene. Basically you have the choice between packing an extra set of jeans and changing out, or just rocking the astronaut look everywhere you go (though, perhaps that is not a bad thing!). The Dainese Bonneville Regular Jeans are the answer to this. 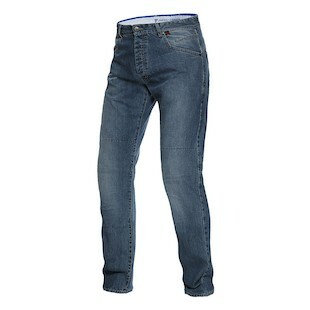 Working to expand the hugely popular realm of fashionable motorcycle jeans that look good, while at the same time providing solid mot-protection, these Kevlar reinforced denim jeans fit the part. With adjustable Pro-Shape protectors at the knees and hip pocket, the Bonneville Regular jeans are going to be a more relaxed fit with roomier rear and thighs. 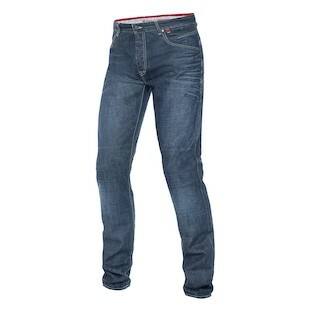 To tighten things up a bit, as some of us are inclined to do, the Dainese Bonneville Slim Jeans are the way to go. With the same features and construction as the Bonneville jeans, the slimmer fitting option gives riders that which we enjoy so much… a choice! By making for a somewhat snugger fitment to the rear and thighs, Dainese has you ready to style on. If you are the kind of rider who likes to get where they are going, without the excess baggage, in rocking motorcycle gear that keeps you looking cool, then give the Bonneville series from Dainese a look!